Kapamilya! 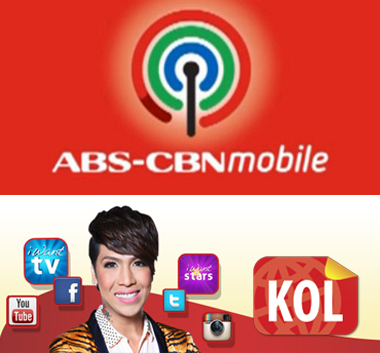 Get Online with ABS-CBNmobile Kapamilya Internet Promo. For as low as P15, you can now enjoy internet surfing on your mobile. Keep posted with the latest happenings on your friends on your favorite social networking sites. Know the hottest news and trending topics in the world wide web. Share your thoughts and let them know how you are doing today. Connect with the world wherever you are and whenever you want. Choose the offer that best suit your budget and everyday mobile surfing needs. Please do remember that iWant TV Wi-fi access is valid until have sufficient load balance or subscription is not yet expired. The internet connection will be automatically cut if you already consumed the allotted 100MB of data connection. Want to know more about the latest ABS-CBNmobile Kapamilya Internet Promo? Keep updated by visiting us again. You can also check on ABS-CBNmobile Kapamilya Facebook Page and Unlipromo FB Page for the latest feeds and more exciting promo. hello.. saan po ako pwede magpa-load sa abscbn sim ko,po? pwede po ba sa Globe or Smart or Sun? first time user po ako ng abscbn sim.. thank you! Saan po pwede makabili ng ABS-CBN sim…. Hello po, gustong gusto ko po manood ng mga kapamilya teleserye sa iwantv. Ano po ba pwede iload yung walang limit po sa iwantv, yung unli po.